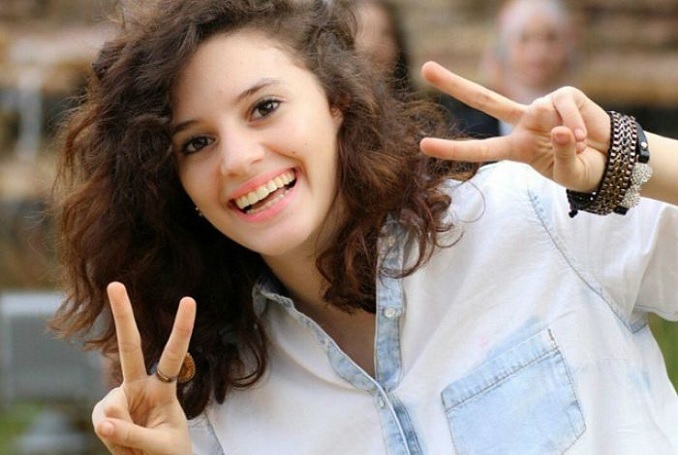 In late January Aiia al Maasarwe, initially described in the Australian media as an ‘Israeli student’, then as an ‘Arab Israeli’ but never as a Palestinian, the correct description, was murdered in Melbourne. Aiia, a student of Chinese and English, was in Melbourne as an exchange student, had traveled home by tram after watching a comedy show and was talking to her sister in Palestine when she was attacked, raped and killed while walking a kilometer home late at night. It was a shocking crime and Melbourne was appalled. The tram she had taken, no. 86, stopped at all stops so people could get on with bundles of flowers to be delivered to the crime scene. Government officials, including the Prime Minister, Scott Morrison, made statements expressing their horror. In the week after her death, the Israeli embassy in Canberra made contact with the family in Aiia’s home town, Baqa al Gharbiyya, but there was no personal contact from anyone in the government until President Reuven Rivlin wrote to the family. Baqa al Gharbiyya is not ‘mostly Arab’ as the Australian media, genuflecting to Israel as always, reported but wholly Palestinian. Until Israel began building its apartheid wall in 2000, there was one Baqa: now the wall cuts it into two, Baqa al Gharbiyya (western Baqa), inside pre-1967 Israel, and Baqa al Sharqiyya (eastern Baqa), inside the territories taken in 1967. Writing in the Guardian, Jennine Khalik, a Sydney-based Palestinian, wrote that while it should not matter where the murdered young woman came from, it did. Either through ignorance or through deliberate suppression, the Australian media insisted that this young Palestinian was an ‘Arab Israeli,’ the official Israeli description of its Palestinian population, and a term rejected by almost all Palestinians. 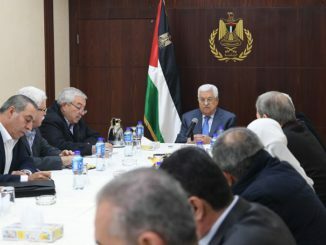 In keeping with its drive to eradicate Palestine from the map, in every way and at every level, the government of Israel refuses to call its Palestinian population ‘Palestinian.’ It prefers the generic ‘Arab’ which means they come anywhere and could belong anywhere in the Middle East, except in their homeland. They have exactly the same attitude to their Palestinian identity as Palestinians living in the occupied West Bank, occupied Jerusalem and the occupied Gaza Strip. The Palestinians inside pre-1967 Israel are not living in a state of its citizens like other states but a state for and of the Jewish people. By legal definition they are second class, a status deliberately created by discriminatory laws at every level and now reinforced by the passage last year of the nation-state law. This law, declaring that Israel is a Jewish nation-state, automatically excludes the Palestinian 17.5 per of the population, Sunni or Christian, plus all others (including the Druze who serve in the armed forces) who are not Jewish. The law is the inevitable product of a racist ideology which never intended Jews to live peacefully with the Palestinians but to live in Palestine instead of them. The consequence has been an endless round of wars with and on neighboring states, plus deepening oppression of the Palestinian people in the further territories stolen in 1967, as well as oppression of Syrians in the occupied Golan. For Israel to survive as a Jewish state on stolen land this is as it must be. I’ve been trying to think of what i could even say about this horrific and unfair story. This is not the way your life was meant to end, she had so much ahead of her, so so much. There are no words that can be ever be said. By and large, this process is supported by the Israeli Jewish population, amongst whom racism has been deliberately inculcated by religious and political leaders to the level of hatred of Palestinians, delight in their suffering and endless justification when they are killed. Let’s get straight to a central issue here. Had the young woman murdered in Melbourne been Jewish, the media would have reported it entirely differently. The story would have been headlines, it would have run for days and there would have been interviews with the family plus phone calls and visits from senior members of the government. As it was, little attention was paid to the murder in the media and nothing came to the family from the government until Reuven Rivlin sent his letter. From Netanyahu and senior members of the government, there still has been no personal word of condolence for Aiia’s family. The killing of Aiia can be contrasted with the response to the murder last October of Aisha al-Rabi. Ayesha, from the Nablus district village of Biddya, was in a car with her husband and a daughter when it was pelted with rocks thrown by youths from a nearby settlement. These twisted youths, the young Zionist pioneers of the present generation, carrying forward the process of occupation and colonization, are hate-filled fanatics. They glory in the death or discomfort of Palestinians. They terrorize, they scrawl anti-Arab graffiti (not anti-Palestinian as they scarcely recognize the Palestinians as human beings let alone as Palestinian) on walls, they harass women and children, they destroy crops and olive trees, they commit acts of arson, they beat and occasionally they murder. Violence of this nature has tripled in the past year, with 482 ‘incidents’ reported during the 12 months to December compared to 140 for the previous year. 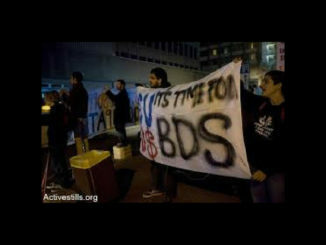 Time to take a stand, one would think, but not in Israel. Even in the most extreme circumstances the violence every excuse is found for the lenient treatment of these settler youths. Take for example the stoning of the car which killed Ayesha Rabi’a, the mother of eight children. Many stones were thrown, near the Tapuah checkpoint, not just one, and five youths from the nearby settlement yeshiva – a religious seminary where hatred of ‘Arabs’ seems to be high on the agenda – were arrested. In a state of its citizens, one might expect messages of sympathy to flow towards the family of the murdered woman from senior members of the government. One might expect assurances that justice would be done and the killers punished to the full extent of the law but in an ostensible Jewish state the sympathy flowed in the other direction, towards the families of the youths accused of killing Ayesha. They were visited by Ayelet Shaked, the so-called ‘justice minister’ in Netanyahu’s coalition government, a vicious racist by any definition. In 2015 Shaked paid a similar visit to the families of the youths accused of firebombing a Palestinian home at Douma in July, killing three members of the Dawabshe family, husband, and wife and their 18-month-old son Ali, with only five-year-old Ahmad surviving. There was no visit by Shaked or anyone else in the Israeli government to the relatives of the murdered Palestinian family. While public outrage was expressed in demonstrations, settlers continued to celebrate the murders. At a Jewish wedding in Jerusalem in late 2015, guests brandishing Molotov cocktails, knives and guns danced around holding photos above their heads of Ali Dawabsheh which they then proceeded to stab and burn. The persecution of the Dawabsheh family by settlers continued, with a family house being destroyed in May 2018. In June 2018 the ‘Lod’ (Lydda – ethnically cleansed in 1948) district court ruled out some of the confessions of the accused youths on the grounds that they had been obtained under torture. One of the defendants who had confessed to previous acts of arson, vandalism and the scrawling of hate graffiti on walls was released to house arrest. Outside the court several dozen ‘hilltop youth’ celebrated, taunting the Dawabsheh grandfather with cries of ‘Where’s Ali? There’s no Ali. Ali is on the grill.’ When Reuven Rivlin condemned Jewish terror he received a spate of death threats. The case against the main defendant continues. Ayalet Shaked was a member of the Jewish Home party until she broke away recently and founded, along with Naftali Bennett, who also split from the Jewish Home, the Heyemin Hehadash (New Right) party. This new grouping is being misleadingly defined as ‘conservative’. In fact, it is violently rightwing and racist, effectively a Jewish fascist party. Bennett has boasted of killing ‘Arabs’, while Shaked, like many Zionist racists before her, has compared the Palestinians to snakes. In the meantime, while all of this goes on inside occupied Palestine, the retiring Israeli army chief, Gadi Eisenkot, has boasted that Israel has carried out thousands of air attacks on Syria in recent years, attacking, in fact, almost on a daily basis. Many of these attacks have been carried out from Lebanese air space. Some have been made behind the radar shield of civilian aircraft, once behind a Russian military aircraft which was then shot down by Syrian air defenses. A frequent target has been installations around Damascus international airport, prompting the Syrian ambassador at the UN, Bashar al Ja’afiri, to warn that if the UN does not intervene, Syria might be forced to retaliate against Tel Aviv airport. Eisenkot was the author of the ‘Dahiye doctrine’ according to which the aerial destruction visited on the Beirut suburb of Dahiya – the political headquarters of Hizbullah – in 2006 will be carried out across Lebanon in the next war. Israel is also campaigning again for war on Iran if it does not start one by its attacks on Syria. Internally and externally, this racist and violent state, a time bomb planted in the Middle East by the British a century ago, is destined to erupt cataclysmically at some point in the future. Late news: the youth who killed Ayesha al Rabia’ has been prosecuted with the lesser charge of manslaughter. In other words, when heaving a two-kilogram rock through the windscreen of her car he didn’t intend to kill her. Maybe just maim her. Already all the youths, through their lawyers, involved have complained of torture under interrogation. On the basis of previous experience, we can guess how this will play out. The trial will be protracted. Character evidence will be given by teachers and rabbis. He is such a good boy. This was out of character, a moment of foolishness. There will be sympathy for the parents. The boy will be sentenced, perhaps two or three years in prison, but in less than a year he will be released to house arrest, i.e. allowed to live at home and lead a normal life, surrounded by his settler family, congratulated by the vicious pack of youths he runs around with, while elsewhere on the West Bank eight children are being brought up without a mother. 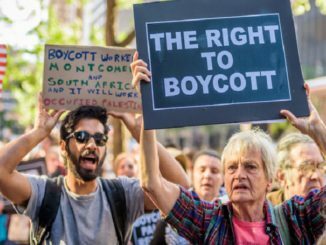 Israeli Kangaroo courts afford no justice to Palestinians and the Citizenship law makes it clear that this is Apartheid state is doomed to fail as it becomes more apparent what horror of persecution the poor Palestinians have endured and continue to endure from 1948 through to the 21st Century!